A friend of mine remarked to me a couple of months ago that Arcade Fire’s music is very marchy. Sometimes when I am listening to them on my Ipod, I test this comment and try to march a little. Unfortunately, I can usually march along to their music. This does not really matter to me. I still like them, even if I am marching to it! I think this a positive thing to do in March, I have a hunch that there is an Arcade Fire song for any day in March, no matter the weather. So, get out there and try it! Resto reviews of three places you really shouldn’t miss in three very different Montreal neighbourhoods (Downtown, St Henri, and The Village). In honour of International Women’s Day on March 8th, a three-part feature on Canadian Women in The Arts. Simple herbs for cats… this isn’t your Grandcat’s catnip! A heart-wrenching, mind-boggling, gut-churning anecdotal tale about Professionalism In The Arts. 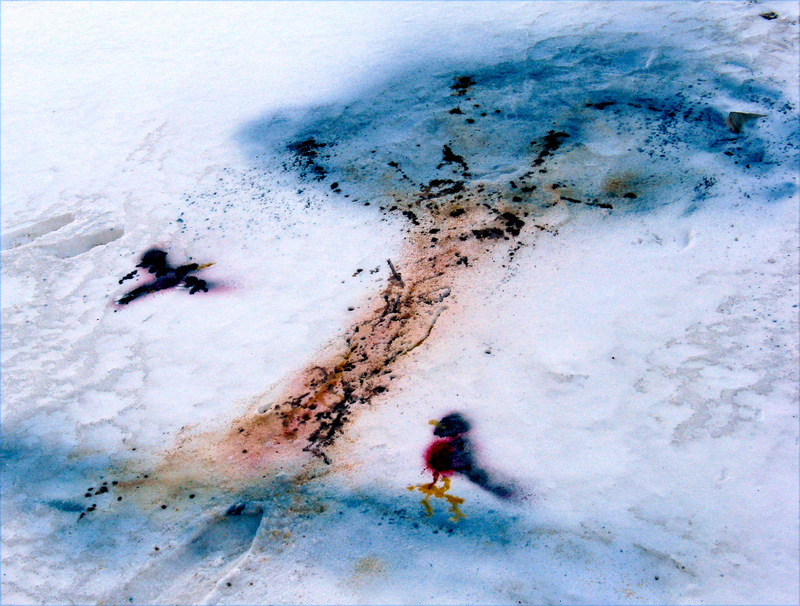 A Snow Painting and book-making creativity spa workshop! Bringing the web to real life, yet again. Also, we will officially announce our new service: Customised Workshops. March looks like both a lion and lamb month, so join us as we gear up for Spring! 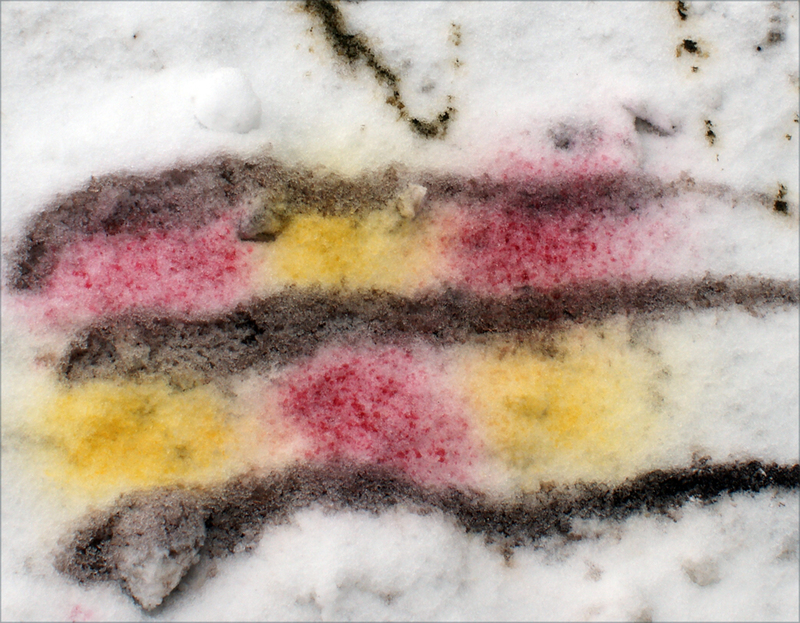 Snow Painting Experiments… see us at Nuit Blanche this Saturday! Lately, our neighbourhood has been decorated with something like Earth Art crossed with graffiti crossed with scenes from an herbalist’s laboratory. 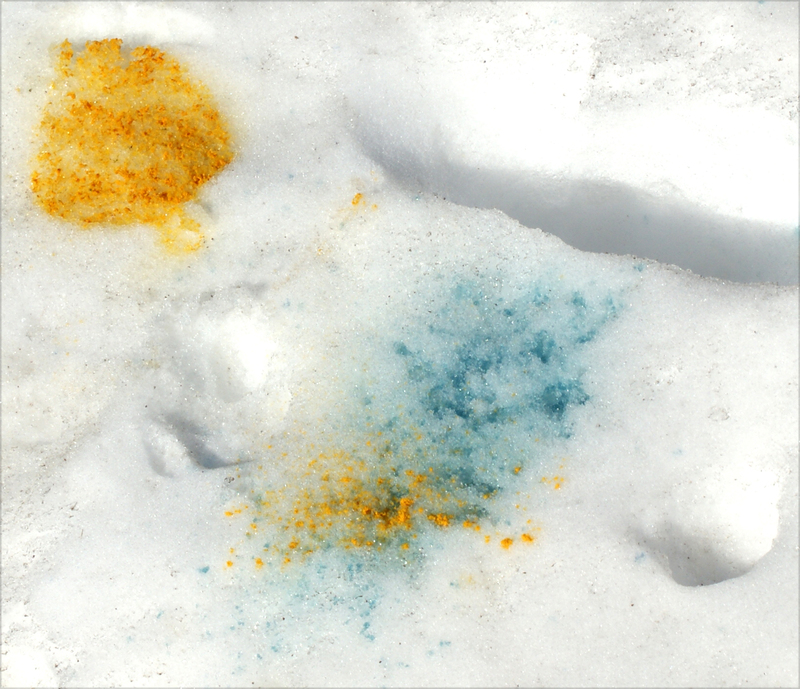 We have been practicing and experimenting with “Snow Painting”: using herbs and vegetables as dyes to apply to snow and ice. 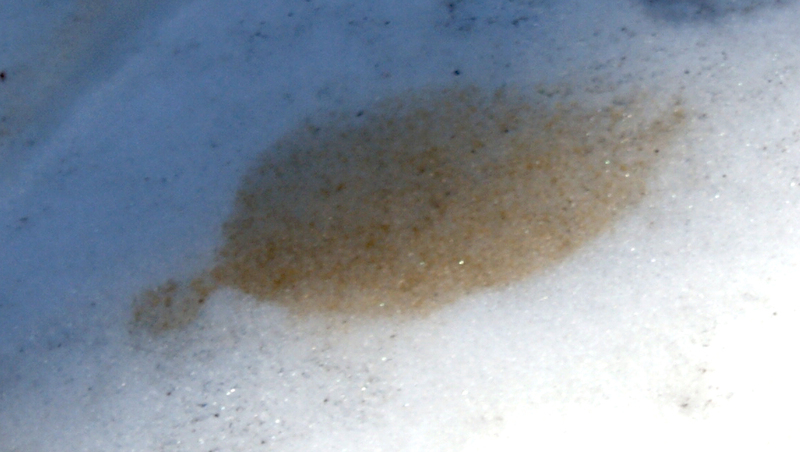 As part of an artistic process (similar to dyeing fibres, mixing paints from scratch, or crafting makeup) non-toxic Snow Painting is fun, always has an element of unpredictability, and maintains many factors that can affect the final effect. Join us in these curious experiments at Nuit Blanche, this Saturday 26th from 3pm to about 9pm, in the Griffintown Cultural Corridor (956 Ottawa, and 141 Ann) in Montreal. Having practiced and experimented with our new craft, we are confident that our collaborative effort will yield a beautiful “painting” in the snow for all to enjoy. 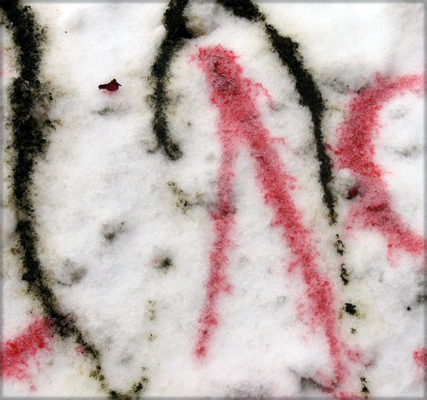 We will also have a community-participatory location, in which people can try some Snow Painting for themselves. We are on the free shuttle bus, (Wellington and Ann) so add us to your list of fun things to see that eve!